In a nutshell: in this stage you develop and expand your first Society Centre and possibly build more. This is reminiscent of the Middle Ages. It ends when you have sufficiently advanced technology. 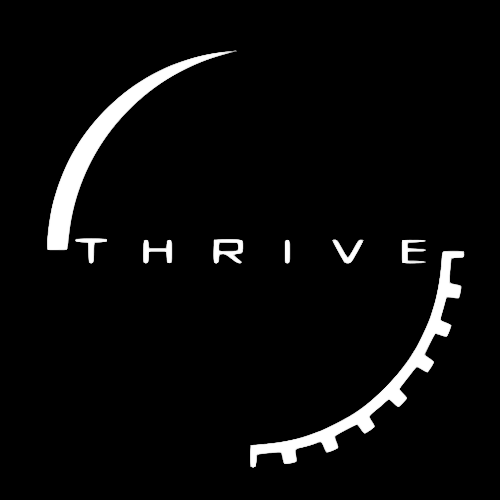 One of Thrive's seven gameplay stages, Society Stage begins after your sapient race (developed in Awakening Stage) begins to form larger groups, or societies. At this point, Strategy Mode becomes the primary focal point of the game, rather than Organism Mode (although the player can still access any mode at any time.) The Nation Editor is also unlocked for use. Finally, the player's race can begin to form Society Centers. Throughout Society Stage, one of the major goals is to develop more and more advanced technology. As such, the Society Stage ends when your race develops sufficiently advanced technology to enter the Industrial Stage. The Society Stage marks the transition of the player's species from a simple tribe to an advancing Civilization. The Society Stage is highlighted by certain Researches that enable the viewing and investment of the Research Web, the enabling of government policies, the emergence of religions, and the beginning of larger scale conflicts. The Nation Editor becomes more and more important throughout this stage, as does the Tech Editor, and the Squad Editor. Although the player is free to return to playing as individual organisms within his species, the majority of important events and decision take place on a large scale, and management of larger and larger numbers of people becomes essential. The player will have to balance the needs of his people, and the interests of his nation, to lead their civilization forwards. The Society Stage begins when your first SC is formed. Collective Residence enables the forming of Society Centers. The player will be able to designate any cluster of buildings to the computer and register it as a Society Center, which would then get a procedurally generated name. New stats would also appear for that SC (Society Center), such as happiness, health, and stability. Species members can now be designated to Populate these SC’s, which means they disappear as a controllable unit and instead become a digit in the population of that SC. Although populating units into SC’s takes away lots of their capabilities on the field, it opens up a whole new range of opportunities. Now the label of Labourer, Artisan, or whichever other Pop they are becomes important, since the computer now treats all of the members of that Pop as a whole. Taxes can be collected, they are subject to Population Growth, and they can employ buildings that require operators. They essentially become just numbers on the screen. Their models will no longer be important other than to arbitrarily walk around the SC to make it look busy. Nevertheless, members of the Pops now inhabiting these SC’s can always be Deployed, which takes them out of the SC and put them back as a unit in the game. Founding new cities works in this fashion. Units, specifically Labourers, would have to be deployed from one city, and then travel to a new destination and build several buildings. These buildings would then be selected by the player and coalesced into a new SC. The Labourers used to build the city could then be used to populate the new SC to get it off the ground. As a note, only Labourers can build buildings. Conversely, during this whole period of advancement, other tribes of the player’s species would also begin to emerge. Each tribe that would arise out of the player’s species would take a part of the species’ population with them, so there would be a limited number of tribes that would form from the same species. Other species can also achieve sapience and begin forming tribes. Only the tribe, and later the nation, formed by the player would be controllable by the player. These other nations would be the AI nations, and would be the source of competition with the player in the long history to come. They will still be part of the same species as the player, but will not be controllable, and may even become hostile towards the player. They would discover their own Researches, form their own SC’s, and take their own path towards civilization. The Society Stage holds a lot of substance for discussion and ideas on the forum. There are currently no active Society Stage Team Leads; however, activity is still high. Some prominent threads on this topic include the Function Part Discussion, which is currently discussing the purposes and additions of new and existing Function Parts, and the Procedural Culture Generation thread, in which a new model has been introduced to handle dynamic culture in the game. The thread on the Treaty Editor discusses the implementation of diplomacy. The Crash Course Economics thread is quite significant as well, looking at the application of the compound system, the Tech Editor, economics, and other such topics in their relation to the Strategy Mode.